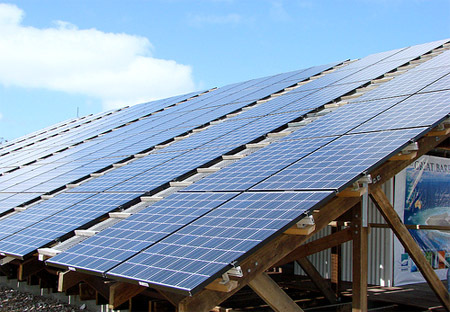 Solar power gets cheaper every year. Some forecasts say that we’ll hit grid parity — the point where solar costs about the same as conventional power — as early as 2013. Right now, the going rate for domestic panels is $2/watt. So a 5kW home installation will cost you $10,000. Or will it? Actually, if you want to shave your installation costs, there are a few strategies you can use to get the price down. Panel manufacture is a volume game, and big customers can score big deals. So it’s worth keeping an eye out for discounts from the major national discount chains. These guys have the power to drive down prices, and, as solar gets more popular, you can expect the big electrical retailers to do just that. Solar technology is moving ahead rapidly, and that means that there are winners and losers in the technology stakes. For home installations, thin film is widely counted a loser. Present-day thin film panels are made by a different process from the crystalline silicon types that most vendors carry, and they don’t yield as well or last as long. On the other hand, they’re a lot cheaper. If you’re putting up an installation that will last a decade or less, it’s worth considering thin film. Panels are durable things. Many of the big makers guarantee their products for twenty years or more. So those secondhand panels you see on Craigslist (“Moving out of state”) may be a real deal. If you’re lucky, the original manufacturer might even pick up the warranty! If you’re determined to do it on the cheap, set a realistic target. How about saying one buck per watt? Once you know that your 5kW installation is going to cost $5000, you’ll know whether a given panel is in the ballpark or not. One last thing. If you’re going to source your own panels, you’ll likely find yourself doing more of your installation than you were expecting. Make sure you know what you’re getting into before you mess with that grid tie inverter! 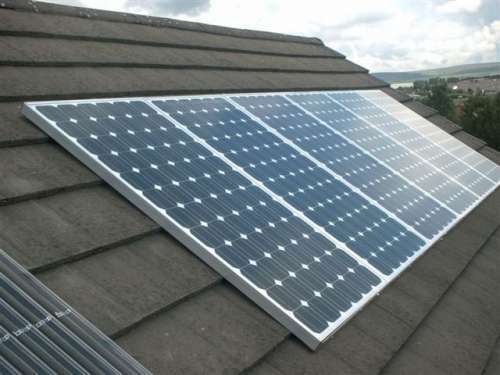 Leave a comment on The Cheapest Solar Panels Are…?